I suppose plenty of bloggers struggle with how much of their personal lives to share. I’ll admit, I didn’t give it a moment’s thought when I started writing this site a few months ago. But what with an addition to our own family here at ApMtn HQ, I’ve been unsure how to proceed. But it wasn’t quite that easy. My father-in-law was born Aleksander in Cracow, Poland. Did we preserve the Polish spelling? He’d dropped it when he became a US citizen, feeling it was better to Americanize his name. So we used Alexander on his birth certificate. 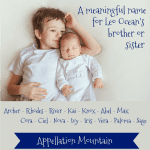 I didn’t settle on Alexei as his nickname until he was a few months old and this was a HUGE mistake as your child ends up with multiple names – in our son’s case, he answers to at least four – sometimes all on the same day. My husband veto’d Sasha as too Russian. I latched on to Alexei as authentically Polish – though it should be spelled Aleksey. I considered spelling it Alexy for a while as a (messy) compromise, but when our toddler became obsessed with ice hockey, it was clear that he’d have to be Alexei. As it happens, our son calls himself Aly. We’ll see where he settles in a few years – he wanted Alexei on his hockey jersey, which gives me hope that he’ll settle on the name I like. But it’s equally possible that he’ll get to school and want to be Alex or Xander or Zane or something I can’t imagine. His (Polish) grandparents call him by a diminutive that sounds something like OH loosh – a pet name my husband didn’t even know existed before our son was born. I guess that’s a contender, too. As for Claire/Clio, I realized quickly that the mistake we made with Alexei was not settling on any one name before he was born. Calling her Claire was out – it’s a family name on my side, shared by my mother, my great-grandmother and umpteen cousins. (Since I call my mother by her first name, this really would complicate things.) And while it’s classic, it’s too tame for my tastes. In fact, my mother isn’t actually Claire – she’s Clarina. It’s close to the literary Clarinda, but is actually an Americanization of an elaboration of Chiara – the Italian form of Clara. Because my mother was among the younger cousins to be named in honor of her clan’s matriarch, she received one of the more unusual variants. And oh boy golly, does she hate it! In fact, she has forbidden any of her four children from handing it down and so, Claire Caroline was our way of picking up the “ina.” I also liked Caroline’s “o” and felt she gave us more nickname options. We’d initially considered the nickname Callie but a) it sounds too much like the Name Blob – Kaylie, Halle, etc. – for comfort; b) since my family calls our firstborn Aly, that would just be silly. I pushed hard for Coco, but Arthur got more of a “gorilla” than “high fashion” vibe from the name. We arrived at Clio and both said “that works!” But then we argued about the e versus i spellings for a while. Arthur thought the e made more sense, especially since my dear dad had called me Cleopatra. But we eventually agreed on Clio, mostly because he didn’t want to talk about it anymore. 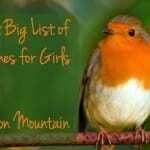 As for Wren, my younger sister is known as Bird. So Wren honors Aunt Bird. I’m delighted that I managed to honor two of the most important women in my life with my daughter’s name. So back to my daughter – any my darling son – here’s a snapshot of the two of them on her first day home. Alexei’s feelings about his little sister are, predictably, mixed, but we’re going to keep her anyway. There … more than you ever wanted to know, but I’ll admit that I’ve been feeling like I was hiding something by not revealing that Clio wasn’t going on her birth certificate. We’ve both fallen in love with the name, and feel it suits her perfectly – if anything, I’m a little sorry that I was so quick to agree back in ’01, but pleased to keep a family name alive, too. 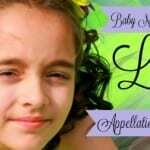 Anyway, great job naming your children Appellation Mountain (sorry, do not know your actual name!) and I loved hearing the story behind it. It’s naming troubles like that which make me love the ‘art of naming’! Awwww! Your kids are so cute! Claire Caroline Wren is a very beautiful, classy name. I love it and it flows perfectly. Alexei is a great name too. It’s a nice change from the super common Alexander. I can understand the driver’s license thing too. I hate being Amanda Lynn, since it is way too common and alot of people like to make fun of it, not to mention there aren’t any cool nicknames. It’s still on my ID card and all my other legal documents and stuff, but I don’t let anyone call me by my real name. I choose to go by Laney instead because it is pretty close to my middle name but still different. Hamish – gorgeously Scottish, I imagine kilts and curly locks when I hear this one! If you haven’t already tackled it before, please could Wren be a name of the day? She really intrigues me and I’d love to learn more about her – oh and Emmy Jo – Elizabeth Wren is beautiful! Verity, I’ll just kow-tow to your ability to compromise. I love the creativity you used to both honor family and give your kids their own names. It took us years to agree to family middle names and unique to our kids first names. And unique is ending up being James. :/ Your story with your names are just awesome. It’s actually really comforting to know that people who have really creative taste in names can name with people who are James and Emily sorts of people. I love the sound of Claire Caroline Wren. It flows, it has meaning, and has given you guys a myriad of nicknames options. I love the compromises you’ve found with Alexei. Alexander may be common, but you guys have made it your own, and it was picked with love. Thank you for sharing your story, because it’s just inspiring and cool. Congratulations, Verity! 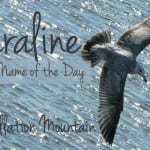 Claire Caroline Wren is a gorgeous name. You know that Clara’s at the very top of my list; I love Caroline as well. I’ve recently fallen in love with Wren as a middle name for a classic first name. Elizabeth Wren is currently my top combo for it. It is tough to compromise between using family names and using the really cool awesome names one loves just because. My husband and I are discussing that right now, though we’ll probably have a couple years before we have to settle the question. I asked him about using Clara Persephone this morning (instead of the Clara Anneliese we had sort of settled on because it honors both our mothers). He seemed more interested in sleeping than discussing it. You’re actually managing to honor THREE women with her name and nickname — your mother, your sister, and YOU. My Gemma was Aia EYE-a today, and Veronica (whom we call Vera) was Aea AY-a. I don’t want to know why my kids are weird, but I think they get it from their father (who originally wanted them to be Ema and Ela). Claire Caroline Wren is GORGEOUS! She’s going to love having Claire and Clio, trust me. I understand the whole ‘pushing for one nickname’ thing, Veronica is completely Veronica to my entire family and his, but she’s Vera to us, and friends and school, but your little one is going to love having a “cool” name and a “normal name”. I LOVE Clio, and am seriously considering it as a first name for any future daughters we have…my list changes daily, so we’ll see, but I LOVE Clio!! I agree with Lola, he is most definitely an Alexei, and she looks so Clio-like! Congratulations, they are SO adorable! And congrats on the baby, most of all! What an interesting story! You really are a naming maven, aren’t you? I never knew anyone who put so much planning into nicknames as well as formal names! 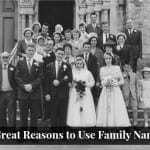 In my family the nicknames are usually the diminutives of the full name – my brother Michael is Mike – but no one ever really thinks about what to call the baby; either the nickname comes out or it doesn’t. Oh, they are Beautiful! And he is most definitely an Alexi, those curls! (My Simon had curls like that until he was 12). Rest assured, Verity, Claire Caroline Wren is a gorgeous full name, beautiful in sentiment and will serve her well as she grows. And Clio (as she will always be to me), is a darling little nickname with as much meaning as her full name. […] David Schwimmer and wife Zoe Buckman have welcomed a daughter named Cleo Buckman Schwimmer. […] Girls was originally posted on February 20, 2008 and was revised and reposted on April 29, 2011.